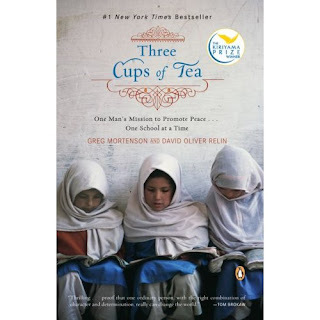 Somerville, Mass - Last month my book club read Three Cups of Tea by Greg Mortenson an David Oliver Relin. What an inspiring book! 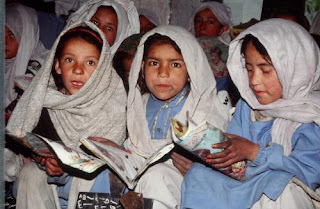 In short, it is Mortenson's account of his efforts to raise money and build schools for girls in Pakistan and Afghanistan. His experiences over the past 15 years make for a captivating read. One of the appeals is that Mortenson is an unlikely hero - a climber with a fairly itinerant lifestyle to start. 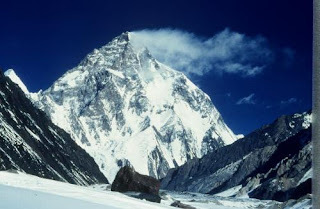 The story commences with his failed attempt to summit K2. On his descent, he gets lost and wanders into the Pakistani village of Korphe. The villagers take care of him and nurse him back to health, and he foolishly promises to repay them by building a school for the children. 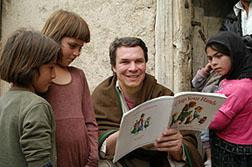 Thus begins his quest to make a difference in the lives of the children, the villages and the world. Moretnson's experiences are a true testament to how one person can change the world. He is one person. It's clear that he is a pretty special person; most importantly he is culturally sensitive, which extremely important to his mission. But still, he is one guy. And furthermore, when he starts, he has NO IDEA what he is doing. This is what I found most inspiring... he stumbles into this project, he makes a commitment, but he is absolutely clueless about how to carry it out. It was just a whim. It is only through his persistence - okay, stubborness -, his hand-on approach to action and his absolute trust in his relationships that he gets things done. And what he does is amazing. Mortenson now works under the auspices of the Central Asia Institute. 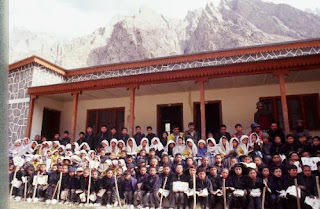 Since its founding in 1996, the Central Asia Institute has opened 78 schools in Pakistan and Afghanistan, providing education for thousands of children. For me, it was a perfect time to read this book and to start to think about the ways that I can "change the world". 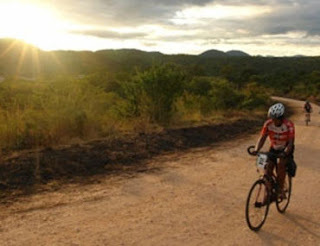 With the Tour d'Afrique, I have been presented with an amazing opportunity - to fulfill a lifelong dream to go to Africa and go on safari; as well as to fulfill a more recent goal of doing a long-distance biking expedition. (For those of you who don't know what I'm talking about, click here to get the update.) But I realized that this is also an opportunity to something really productive, not just for myself but for my world. It is a perfect chance to raise money for a good cause and give it back to the communities I will be biking through. I am really excited and energized by the idea of combining so many of the things that I am passionate about: travel, physical fitness and social justice. And Three Cups of Tea has challenged me to really think creatively about how I can use this unique opportunity to really accomplish something positive. Stay tuned! Photos courtesy of the Central Asia Institute. Somerville, Mass - Isn't it interesting to see how other countries perceive the upcoming US presidential election? This hilarious video blog commentary comes From Russia with Love! On Tuesday I was scheduled to give a book promo talk at a bookstore in Hyannis on Cape Cod. Lonely Planet is working in conjunction with Borders bookstores and the AARP to inspire older people to travel (and buy travel books). LP authors are appearing in bookstores all over the country to speak to AARP members. It's not really about any particular destination, but more of a general talk to get people thinking about where they might want to travel and how to go about planning a trip. I have done a few of these talks, which usually do not draw large numbers; so it's kind of an informal chat where I get to exchange travel adventures and planning tips with the audience members. Anyway, since the talk was on Cape Cod in the evening, I had this great idea to spend the afternoon riding the Cape Cod Rail Trail -- it's a beautiful bike trail that goes for 22 miles from Dennis to Wellfleet, traversing idyllic ponds, salt marshes, pristine woods and peaceful residential areas. Near the terminus is the wonderful, wavy Cahoon Hollow Beach, which makes for a perfect picnic destination. After a bit of rest, you ride back. I figured that as long as I had an hour or so to cool down and clean up at the end of it all, I could manage to appear respectable at the book talk. Unfortunately, I totally misjudged the amount of time it would take to ride the CCRT. It's not that I thought I would go faster than I did - it's just that I am bad at math. For some reason I was thinking it would take about an hour and a half, so I gave myself two hours just to be safe. I had a fantastic ride to Wellfleet. But when I arrived - now 22 miles from my car - I realized that had taken me about an hour and a half. One way! I immediately forgot about my picnic (which was just a Cliff Bar anyway) and hopped on my bike to pedal back. I don't know if it was the wind in my face or the new awareness of time that made the trip back seem twice as long. I got back just in time to make a quick change in the car and go straight to the bookstore. So much for cooling down and cleaning up! Somerville, Mass - You have heard of the Tour de France, right? 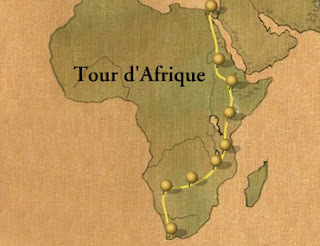 Well, let me introduce you to the Tour d'Afrique, the latest - and definitely the craziest - adventure that I have gotten myself into. Tony Wheeler, the co-founder of Lonely Planet, is sponsoring two LP relay teams for this incredible event. The teams are made up of writers, photographers and staffers, as well as Tony himself. Somehow, I was selected to participate. So next April, I will be pedalling 1500km across Botswana and Namibia. My section of the route is called the Elephant Highway, as Botswana is home to one of the world's largest populations of African elephants. I wonder if I can outride an elephant...? If 1500km over the course of 11 days seems like a lot of riding to you... well, welcome to the club. This is one of the longest sections of the Tour d'Afrique and it is certainly farther than I have ever ridden my bike before. A century - 100 miles - is a sort of biking milestone. Personally, I have never ridden a century in my life; but in April I will be riding them back-to-back! 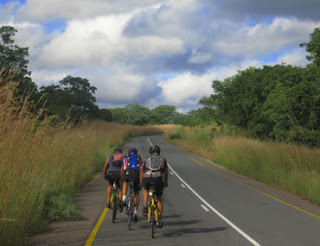 Botswana and Namibia are largely flat - and that's about the only concession they make to cyclists. Unless you're an experienced cyclist and equipped for extreme conditions, abandon any ideas you may have about a bicycle adventure. 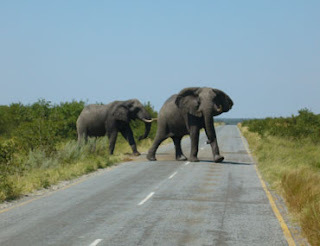 Distances are great and horizons are vast; the climate and landscapes are hot and dry; and even along major routes, water is scarce and villages are widely spaced.... And cyclists may encouner potentially dangeous wildlife while travelling along any highway or road. The good news is that this section of the TDA is mostly paved and it is very flat. So at least I have that going for me. And honestly, all those minor details like water and such will be taken care of by the TDA support staff. All I have to do is whip this body into shape so that I can handle the mileage. So you can see what I will be doing over the next seven months... If anyone wants to go for a bikeride, give me a call! Photos courtesy of Tour d'Afrique, Ltd.
Somerville, Mass - Fritty the Kitty passed away peacefully in her sleep early Sunday morning after a short illness with a bad liver. She was 19 and a half years old (that would be 95 in cat years). She had one litter of five kittens, whereabouts unknown. Born on Capitol Hill in Washington DC, the young aristocat opted to forego a life in politics and to travel and see the country. She lived in North Carolina (where she terrorized the local song bird population); Indiana (where she ravaged the chipmunk population); Georgetown area of Washington DC (where she was known as the mouse decapitator); and Ohio (which she positively hated). She also spent short time living in Wisconsin and Michigan. In 1997, Miss Fritty retired to Lutz, Florida (where she turned her attention to the local lizard population). Never one to stay still for long, she left Florida and headed back north to Boston in 2005 (she said it was for the culture). Sunday afternoon a cat funeral was held in her honor; she was buried in the backyard of the pink house next to the Rose of Sharon. 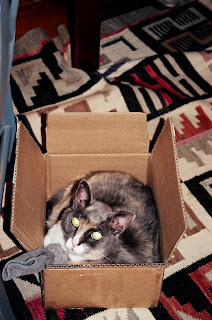 Fritty the Kitty, one of the great felines of our time, RIP.